It’s a tale of two cities. Two symbolic structures. Both 50 years old. For cities that dream big, 1965 was a very good year. Fifty years ago, St. Louis completed its Gateway Arch in October 1965. It’s an internationally recognized city symbol and St. Louis is currently spending $380 million to upgrade the grounds at the base of the arch. That same year, Houston opened the Astrodome. It opened 50 years ago this week — April 9, 1965 as the Houston Astros tangled with the New York Yankees in an exhibition game. 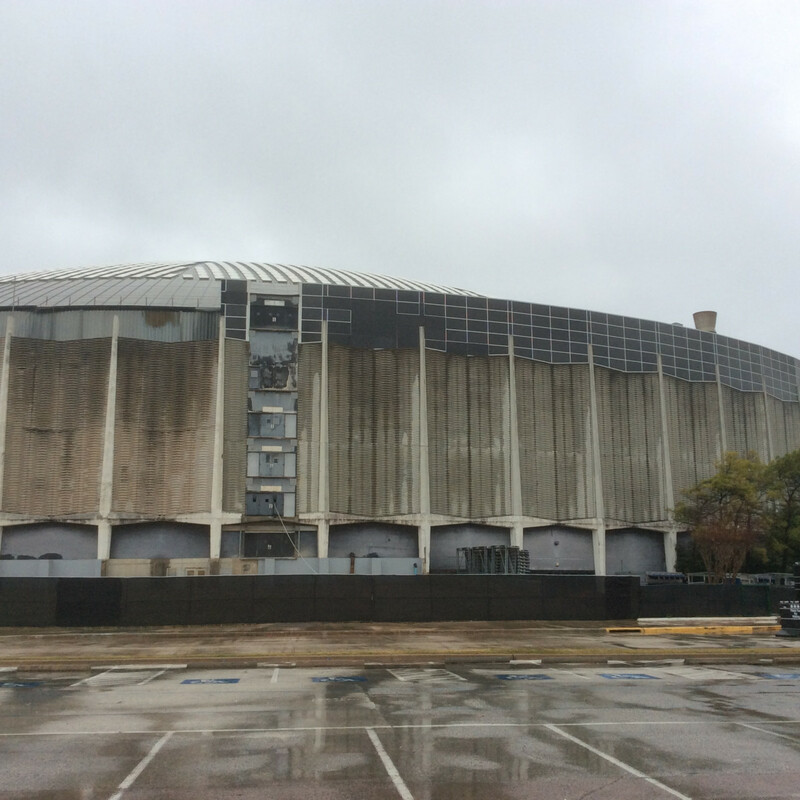 A new study by the Urban Land Institute recommends a $242 million redevelopment for the Astrodome, which has been vacant for years. The Astrodome and the area around it could be greener, more park-like, instead of acres of parking that sit vacant much of the time. 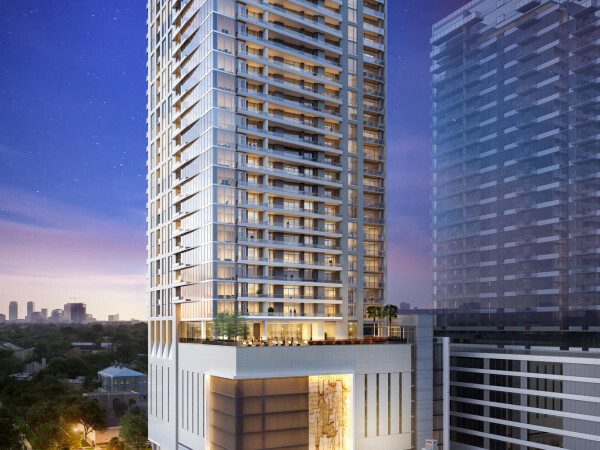 Two layers of underground parking can be built underneath the Dome, the ULI says. The floor of the Dome could be used for the Offshore Technology Conference or for places to party before and after Houston Texans games. The innovative Astrodome, the first air-conditioned covered stadium, was called the Eighth Wonder of the World when it opened, so why not put an innovation museum in the Dome? The Astrodome — the most recognizable building in Houston for many folks in other parts of the country — could be a tourist attraction. St. Louis certainly has made a grand tourist attraction out of its Arch. Some 2.4 million people visited the Arch and its grounds last year, says Ryan McClure, communications director for the City Arch River Foundation of St. Louis. The 90 acres surrounding the Arch are undergoing a massive redevelopment, funded by public sales tax funds approved in an election, and private donations from corporations, foundations and individuals. A key portion of the improvements will be covering over a depressed section of freeway that separates the Gateway Arch from St. Louis’ downtown. With cars passing underneath, a park and pedestrian passageway will lead to the Arch. Dallas did a similar thing a few years ago, covering over a depressed section of the Woodall Rogers Freeway near downtown to create a five-acre park. The 630-foot tall Arch, controlled by the National Parks Service, is adjacent to the mud-brown Mississippi River, which is dominated by industrial barge vessels. Improvements are underway on the banks of the riverfront by the Arch. Michael Van Valkenburgh Associates, a Brooklyn landscape architecture firm has designed an extensive redevelopment of the 90-acre park around the base of the Arch, with new trees, plantings and pathways. The Arch began in 1933 as President Franklin Roosevelt approved the Arch when the nation needed economic stimulus. It was envisioned as a memorial to celebrate the westward expansion of the United States. But the Arch has been more than a monument, more than a tourism attraction. “It’s our calling card to the world,” McClure says. Houston was called Space City then and the whole city worshipped the astronauts, who worked at the new NASA Space Center on the southeast side of town. President Kennedy had challenged the nation to put an astronaut on the moon before the end of the decade and Houston was making it happen. The Astrodome was born from that same space-age, can-do spirit that runs in Houston’s veins. If St. Louis can raise that much money, why can’t Houston come up with $242 million? 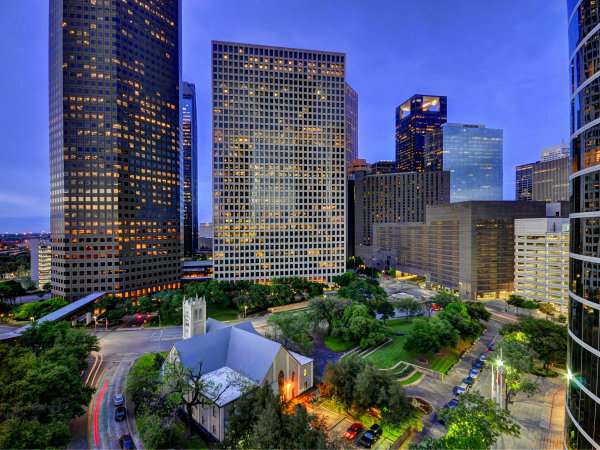 While St. Louis labored for its Arch, Houston was building its Dome. Both were unprecedented feats of engineering and construction know-how. The builders attempted things that had never been done before and erected remarkable structures. St. Louis is stepping to the plate — now spending $380 million to keep its 1965 masterpiece a vital part of the community. It’s time for the leadership of Houston to lead. Whether it’s Rich Kinder, Ric Campo, Gerald Hines or some of our elected officials, Houston has great leaders who can mobilize this city. A great task lies ahead. 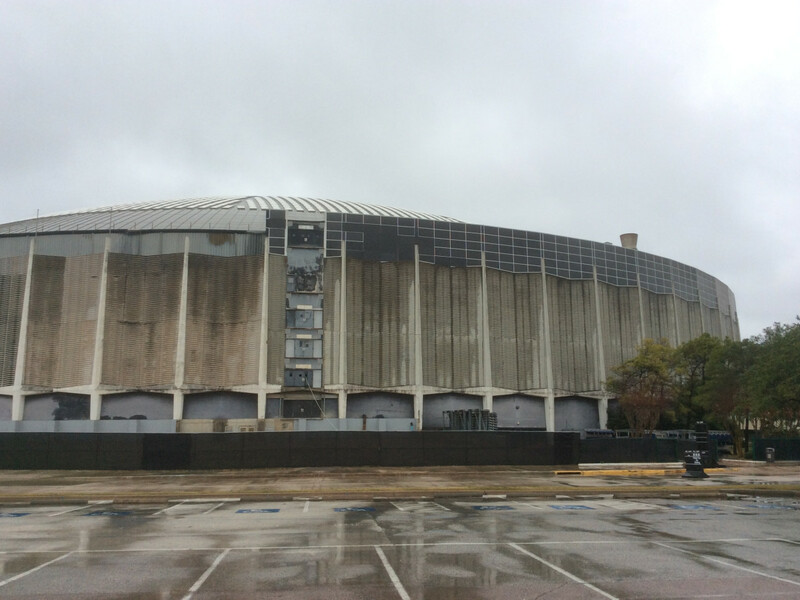 May our leaders step forward now on behalf of the Astrodome’s future. The Astrodome can be transformed into something grander than it ever has been. 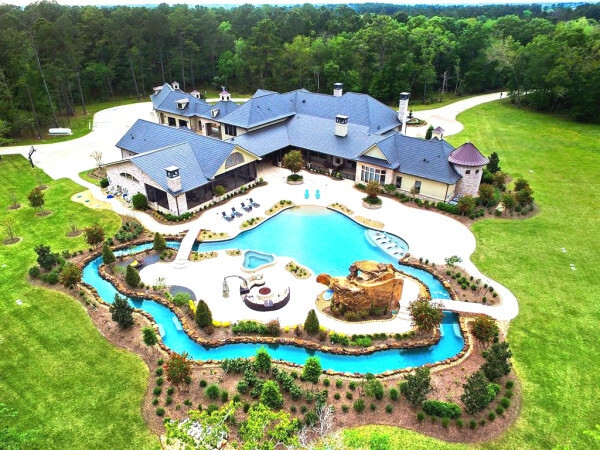 Let’s dream big . . . again.